DOWNERS GROVE, Ill. (WLS) -- Suburban high school students unveiled new gardens designed to bring peace to anyone who has experienced a loss. 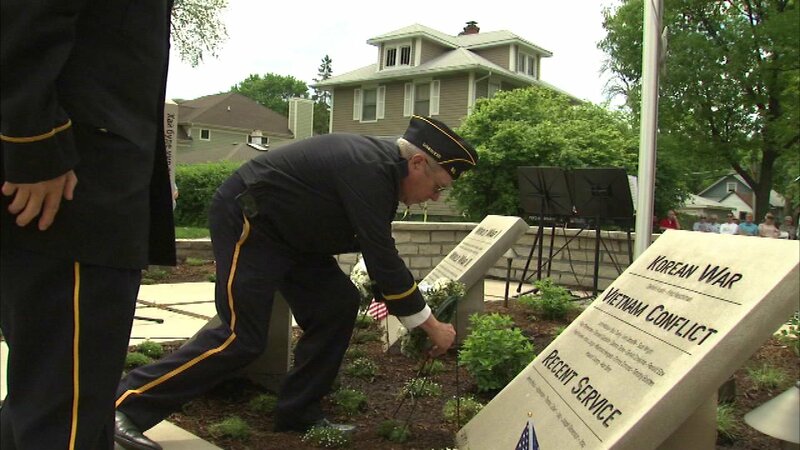 Veterans from World War I, World War II, the Korean War and the Vietnam War laid wreaths as the gardens were dedicated at Downers Grove North High School. Students from there and Downers Grove South High School raised over $50,000 to build the memorial peace gardens.